Pronk Technologies was founded in 2004 and is located in Sun Valley, California. 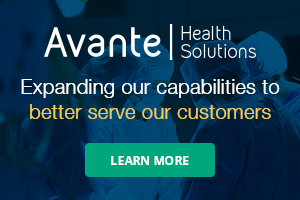 Greg Alkire, vice president sales and marketing, said the company has over 40 years of experience in designing, producing medical devices and biomedical test equipment. “We owe a tremendous amount of our success to the HTM community who early on expressed a desire for test equipment that was smaller, more durable and affordable. This inspired our first product, the SimCube® NIBP Simulator. The success of this product launched our mission to innovate better, more affordable solutions for biomeds,” Alkire said. Alkire shared more about Pronk Technologies in a Q&A session with TechNation. Q: What are some advantages Pronk has over the competition? Alkire: One of our core values is consistently partnering with our customers throughout the product concept phase, the R&D process and field test evaluations of our products before going to market. Identifying what is most important to biomeds is our key to success. Creative product design and innovating the smallest test equipment that can pack a punch in terms of features and durability are the cornerstone of providing products with the best warranty in the industry. We are the only company that designs products durable enough to withstand drop testing from 3 feet onto a hard surface 50 times. Q: What are Pronk’s core competencies? Alkire: We differentiate ourselves in a number of areas. First, we focus on product areas where engineering innovation can revolutionize the biomed work experience. Pronk focuses on providing exactly what biomeds want in a small, ruggedized package. Second, we keep our products affordable so that any biomed, whether part of a large organization or running his/her own business, can have their own set of equipment. Third, we are committed to high-quality production that results in an extremely low rate of repairs and a high rate of repeat customers. Alkire: The new Safe-T Sim™ Electrical Safety Analyzer with one-touch automated safety testing improves the efficiency of safety testing and provides the ability to tailor the testing to match testing protocols. Our second generation FT-2 FlowTrax® Infusion Pump Analyzer really speeds up the testing by having an industry-best measurement resolution of 0.8ul. This provides faster, more accurate measurements. We also offer software products without the hassles of a customer needing to purchase an annual license contract. For instance, we recently introduced DataSnap 2.0 for FlowTrax. DataSnap enables a user to capture infusion pump testing data to trend performance over any period of time. No renewals or license fees. Q: What is on the horizon for Pronk? Alkire: With the volume of medical devices a biomedical engineer has to support, making it easier to capture test results and store them in their CMMS, is more important than ever. Safe-T Sim Electrical Safety Analyzer functions via Bluetooth with our App on a smartphone, tablet or PC to automatically generate test reports, eliminating the need to manually track units tested or the test results. The test report can then be easily transferred to the CMMS software. Q: Can you share a time that Pronk “saved the day” for a customer? It is being able to support biomedical engineers that really encourages us to strive to produce the best tools possible. Alkire: We take a lot of pride in being able to manufacture our products here in California as its key to ensure the highest level of quality. Our manufacturing team is a diverse group of talent including an engineering group that focuses on improving and automating our test processes to maximize efficiency. We take an all-hands-on-deck approach to quality, where every member is empowered to raise any issues to improve the quality of the products and services we provide. Q: How does Pronk design and introduce a new product to the market? Alkire: Our design team includes individuals from all departments, as well as customers we partner with and the process is quite extensive. 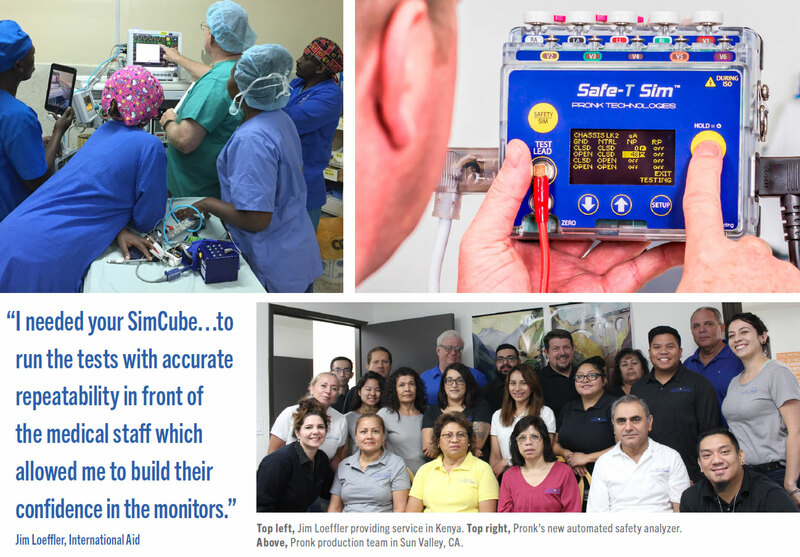 For example, when developing the new Safe-T Sim, we spent 18 months working with a limited release to key accounts that put the product through trials in the field, using the device every day. With their feedback, we made a number of improvements to the design. In parallel, we performed durability and drop testing to be sure the product would hold up to the demands of the field. Every product must pass all these steps before we will begin marketing it. For more information visit www.pronktech.com.